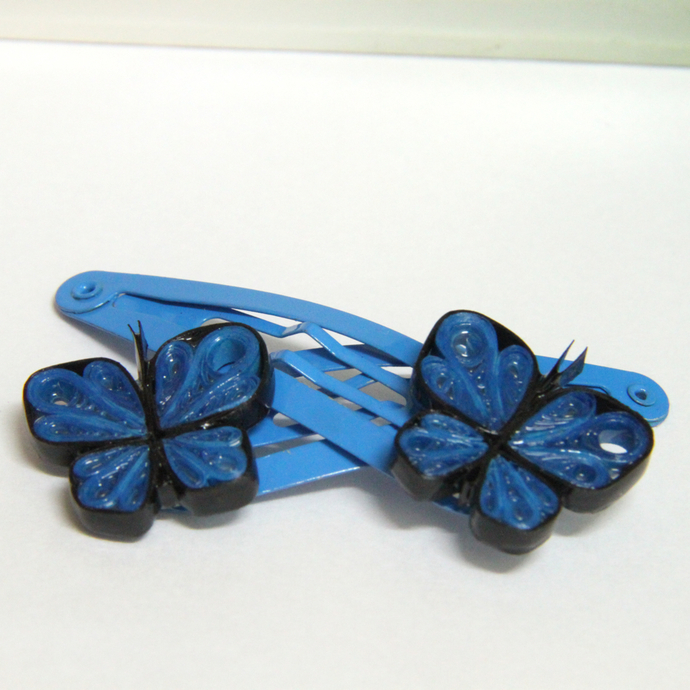 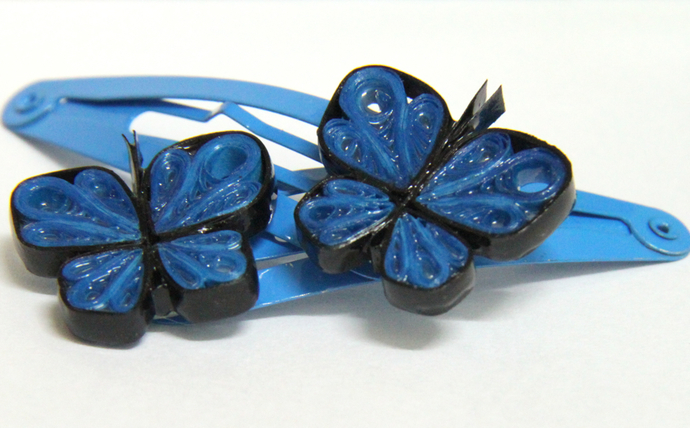 These bold and beautiful black and blue butterflies are eco friendly and handcrafted by the art of paper quilling. 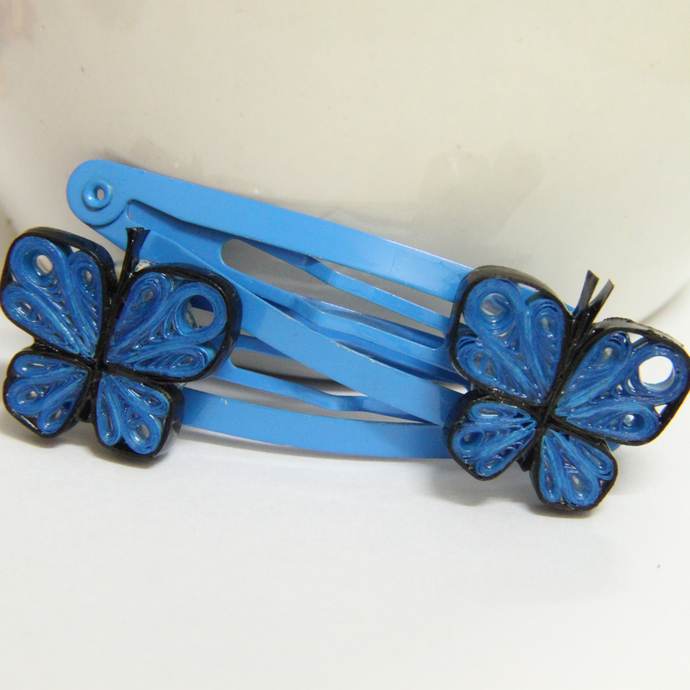 The butterflies have been carefully varnished in several layers for a sturdy and water resistant finish. 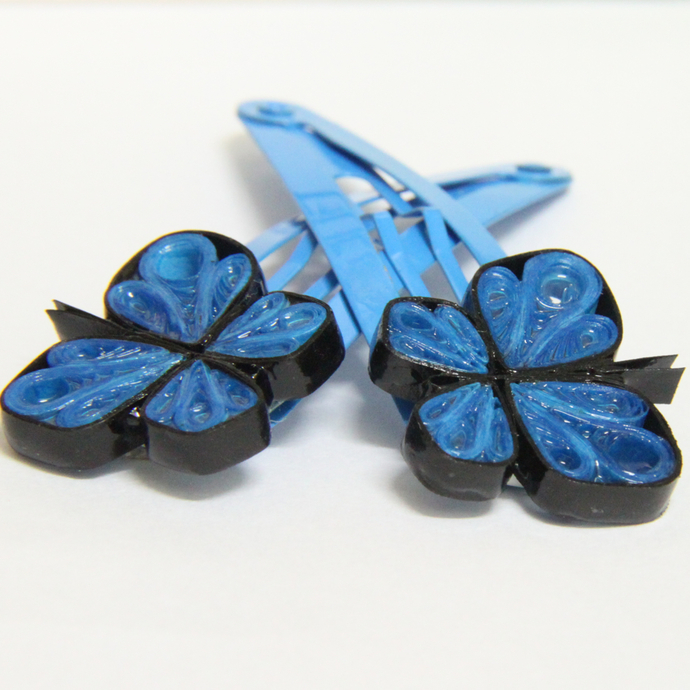 They are 7/8" (2.1cm) across at the widest point and 3/4" (2cm) long. 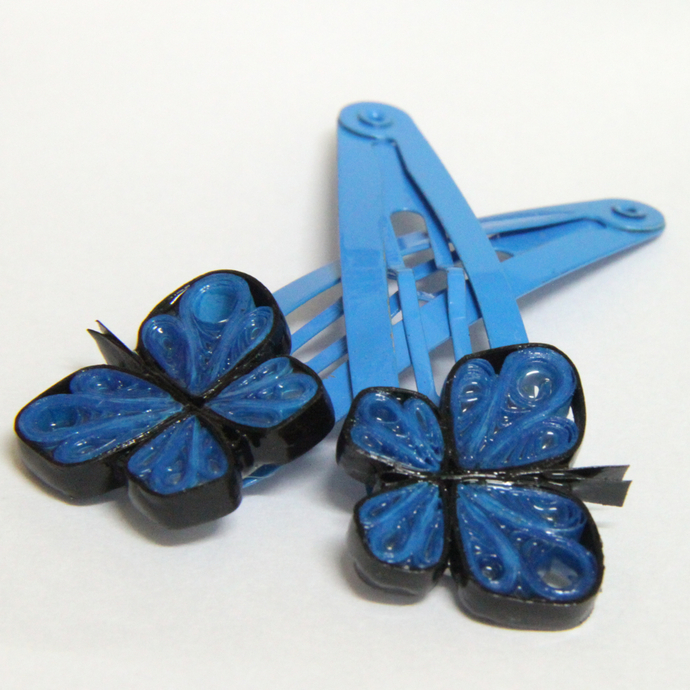 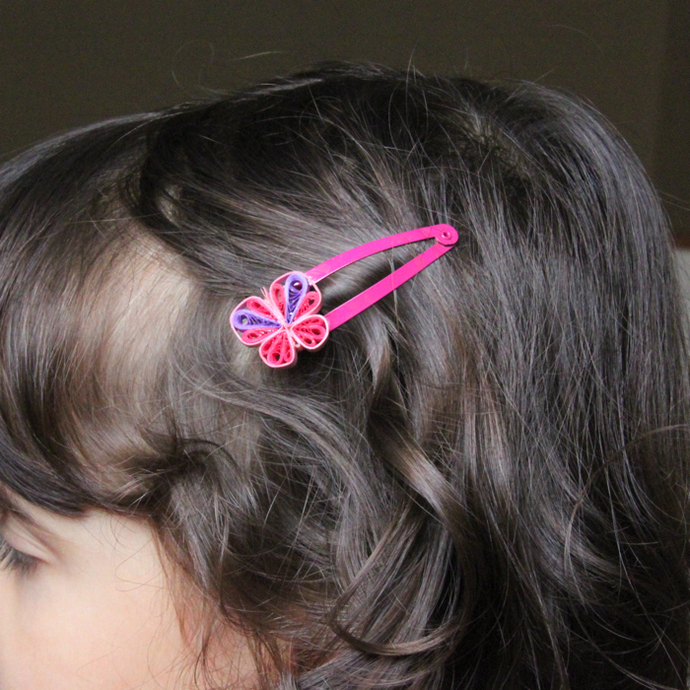 These clips are 2" (5cm) long and have a special pad on the end for gluing, so they are glued on very securely!